ASC is the leading national supplier of industrial and commercial scrubbers and sweepers in Australia. With our branch offices located throughout the country, we cater to all industry markets – large and small – looking for new scrubbing and sweeping machines, rentals or leasing, regular servicing and spare parts. We also offer trade-ins and a large, ever changing range of second-hand sweepers and scrubbers. 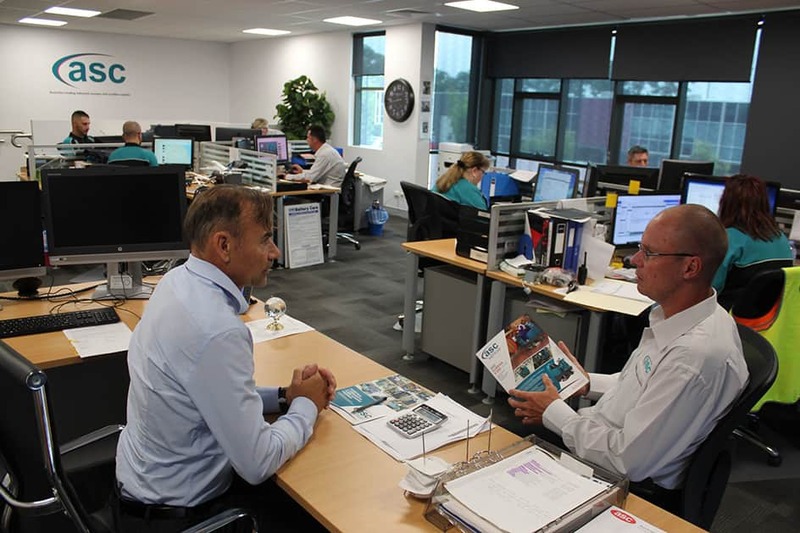 ASC is a national ‘total solutions’ company considered by industry peers to be one of the leading forces in the industry. 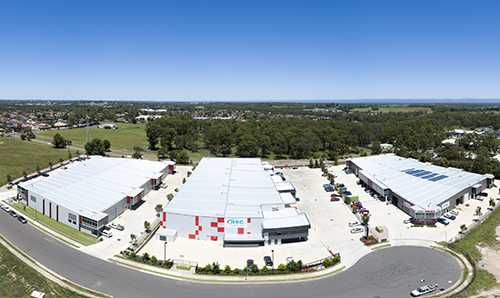 Founded over 28 years ago, by highly respected industry expert Mr Tony Bilos, ASC has grown into a company fully represented in every state of Australia and backed by full sales, rental, service and spare parts teams. Our diverse client list is the envy of our peers. It reflects industries, both large and small where our commercial scrubbers and sweepers are successfully relied upon. Sole traders, small to medium enterprises, large companies, and local, state and federal governments, all trust ASC with their industrial cleaning requirements. BHP Billiton, Rio Tinto, Xstrata Copper, Comalco Aluminium and Industrial Galvanizers in the mining sector. John Holland, Bovis Lend Lease and ABI Group in the construction field. 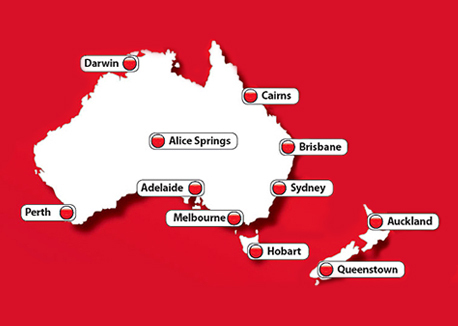 Qantas, Star Track Express, Toll Holdings, Hi- Trans Express, TNT and Direct Freight Express in the warehousing and transport sectors. Allied Mills and Goodman Fielder in the food industry. 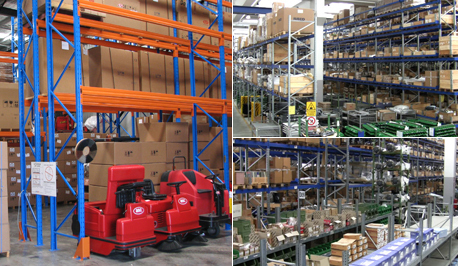 Crown Equipment, Linde Material Handling and Toyota Material Handling in the Material Handling Industry. Boral and CSR in the raw materials industry. Not mentioned are the other thousands of small to medium sized businesses and large corporations located all over Australia and New Zealand who call themselves our clients. ASC has the enviable reputation of being flexible to suit our customers’ needs delivering custom solutions that excel in performance, price and longevity. 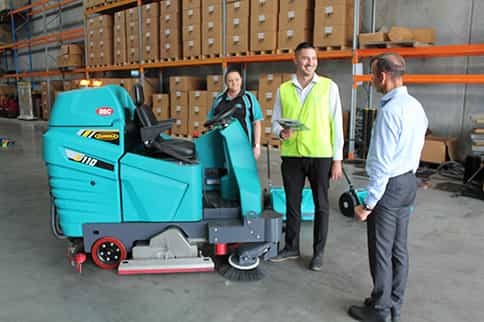 We invite you to look over the extensive information on our full range of sweepers and scrubbers, and we hope to be able to prove our reputation of value, flexibility and reliability to you too. If you have an enquiry or would like to leave some feedback, please click here. ASC has you covered with our nationwide quick moving spare parts. 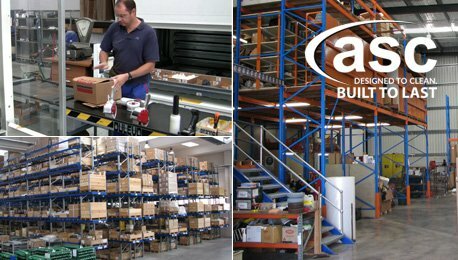 With ASC you can be assured your supported with spare parts and maintenance. To enquire - Click here.